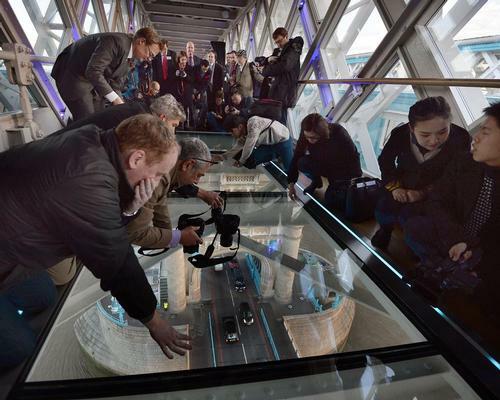 A new exhibition has opened at London’s iconic Tower Bridge, marking the second phase of the redevelopment of the British landmark. Housed inside the North and South Towers that link the bridge’s high-level walkways above the River Thames, the new addition is part of a long-term strategy to develop and improve Tower Bridge’s interpretation, with a renewed focus on the social history of the bridge. It follows the initial redevelopment of the tower’s engine rooms and installation of commemorative bronze plaques into the southeast pavement in spring 2017. In the North Tower, brand new displays alongside original objects from the history of the bridge will showcase its planning, design and construction, while displays in the South Tower will explore its operation and maintenance up to the present day. Developed in conjunction with Leach Studio, the displays will give visitors the opportunity to “meet” the ordinary people who designed, built, and operated the London landmark. “This is the latest phase of our three-year redevelopment, celebrating more than 120-years of history at London’s best-loved landmark,” said Dirk Bennett, exhibition development manager at Tower Bridge. "Our historic research will continue to inform future exhibition content and enable our visitors to explore Tower Bridge in a new light.